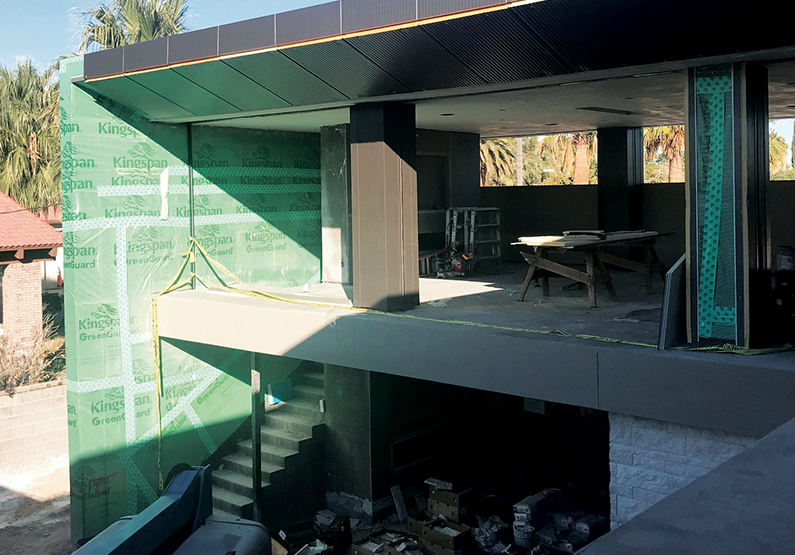 Of course, adaptability is a must for anyone in this business, but this project tested the Las Vegas architect/remodeler’s management skills and determination. The fact that it’s coming together so well and will be ready by the deadline is a testament to Gardner and his team. Complications started soon after work began. The first order of business was the removal of some asbestos siding, but the schedule had accounted for that. What no one anticipated was that the existing home’s exterior walls would prove useless for structural purposes. 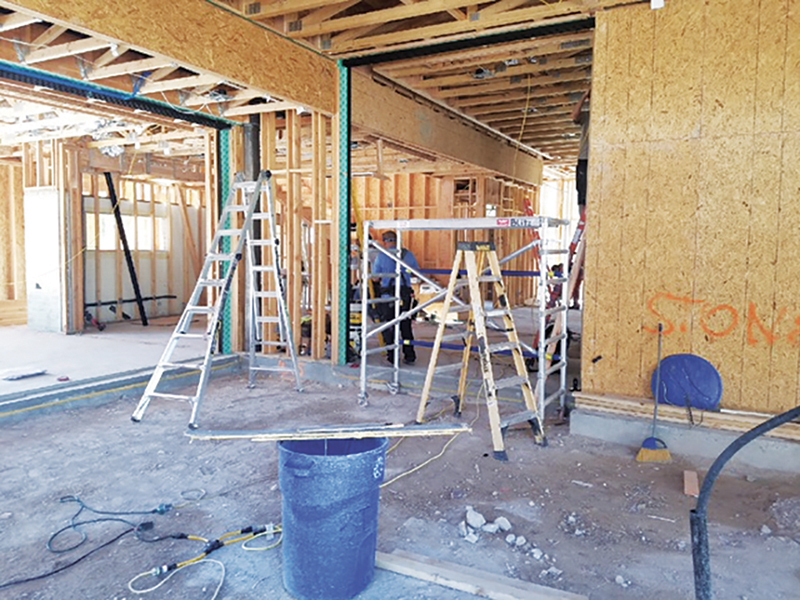 The shortcoming announced itself with some drama: Not long after crews removed the siding and roof from the 1950s ranch, a strong wind blew through town and knocked over half the existing CMU exterior walls. That was a surprise: Pre-demolition magnetic scans had detected metal in the walls, which everyone assumed, wrongly, was rebar. It was just metal conduit with no structural value. Without the bracing provided by the roof, the walls had no lateral strength. Although losing the walls didn’t necessitate any design changes, Gardner did have to tweak the wall locations a bit and take a different approach to supporting the second floor and roof. His Plan B was to carry those loads with new, wood-framed walls placed next to the old CMUs. To get bearing for the framed walls, workers cut away parts of the old slab. They then poured new reinforced footings—a step that also hadn’t been figured into the original schedule. Design glitches after that were mostly minor. The trusses, for instance, arrived with the webs laid out backwards, which threw off the spacing and forced Gardner to use flexible HVAC duct instead of rigid duct. It was less than optimal from an airflow perspective, but the schedule didn’t leave time for new trusses. 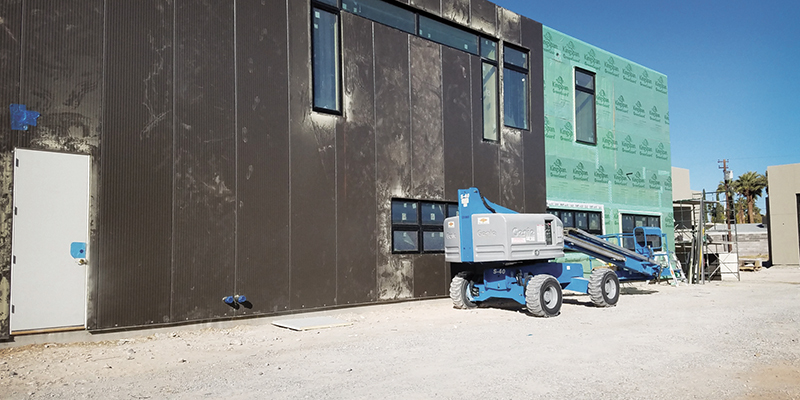 As the project moved along, the two most significant, ongoing issues had to do with labor availability and materials delivery. 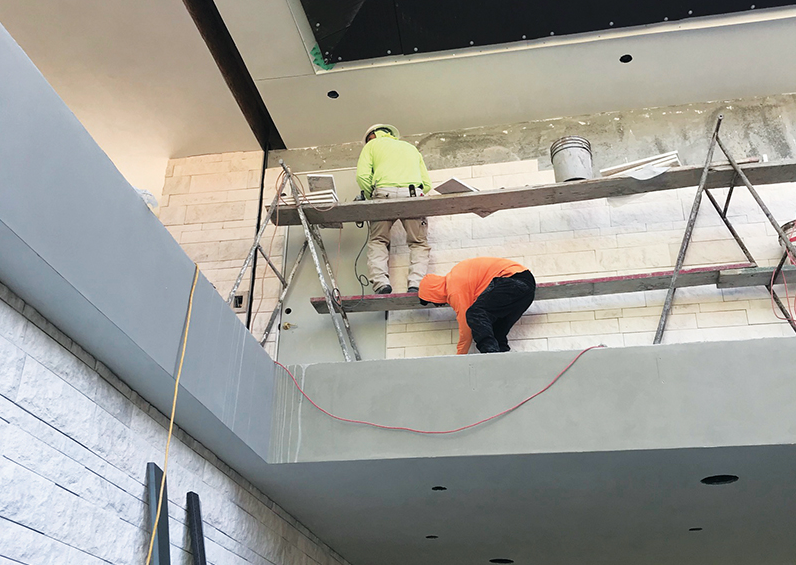 Labor shortages certainly aren’t unique to this home, but while skilled trades are scarce everywhere, they’re especially scarce in Vegas. Gardner addressed the problem in three ways: by using small trade contractors eager for the chance to work on a high-profile project; by looking for companies that could do the work of two or more trades; and by obsessively managing the schedule to ensure that the job was ready for each trade when they arrived. The bottom line is this project had more changes than most, which only made scheduling more difficult. 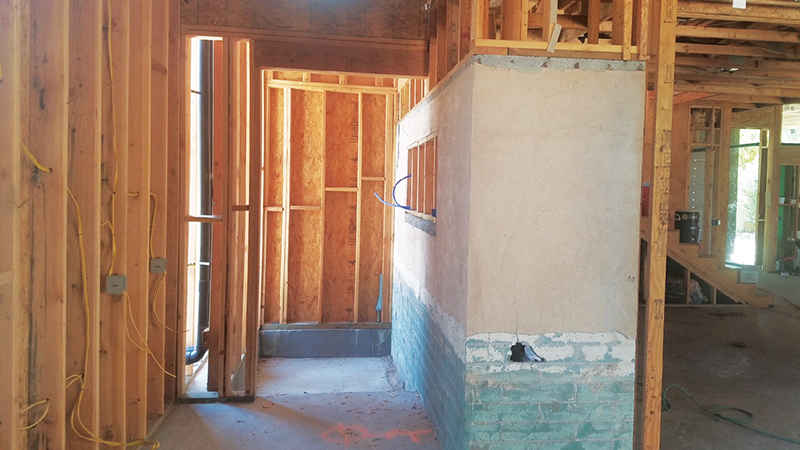 At this writing, the home is on track to be ready for tours during the International Builders’ Show from Feb 19-21, thanks to weeks of 12-hour days with no time off. We will feature the finished home next month. Meanwhile, here are some photos to help you understand what it has taken to get there. The old walls were 7 feet 10 inches high—low for a contemporary home—so the remodel would include raising the ceiling heights. Gardner wanted a thick roof system that would accommodate mechanicals but didn’t want the edge of the home to look too heavy. The use of a tapered fascia allowed for both and also supported the goal of a facade that didn’t look like the typical modern home. The design called for wide openings between the outdoor room and the pool, with screens that retracted overhead. While wood did the job for the first-floor headers, steel was a better solution for the large second-floor openings. A new type of light-gauge moment frame helps stiffen the structure against the high winds that the area sometimes experiences. Complex structures like this often use steel I-beams as headers for large openings. However, it was clear from the beginning that meeting the project schedule would require more adaptability than would be possible with steel. Thick wood beams take less time to get and can be modified in the field, which is why they were chosen for the first-floor openings. 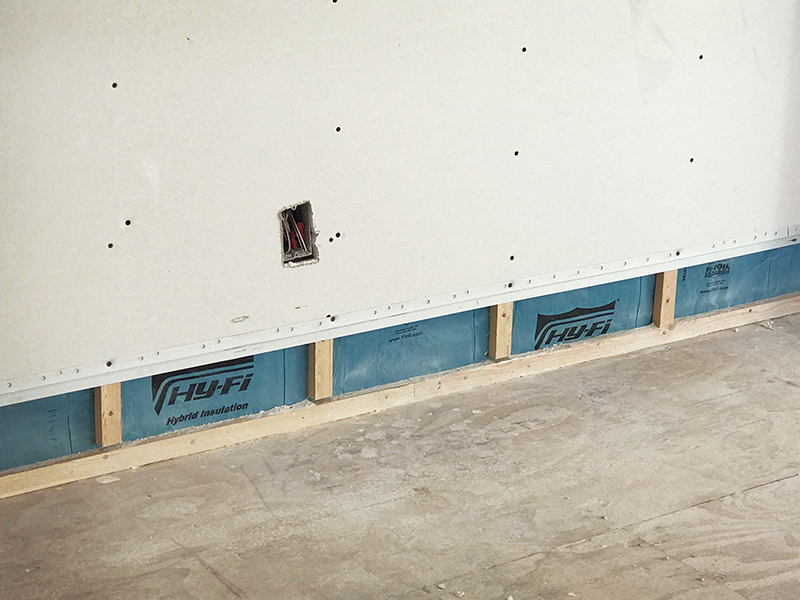 The elevator posed a challenge: Placing it inside the existing home’s footprint would mean cutting the slab to accommodate it. Locating it outside the slab proved an easier solution. 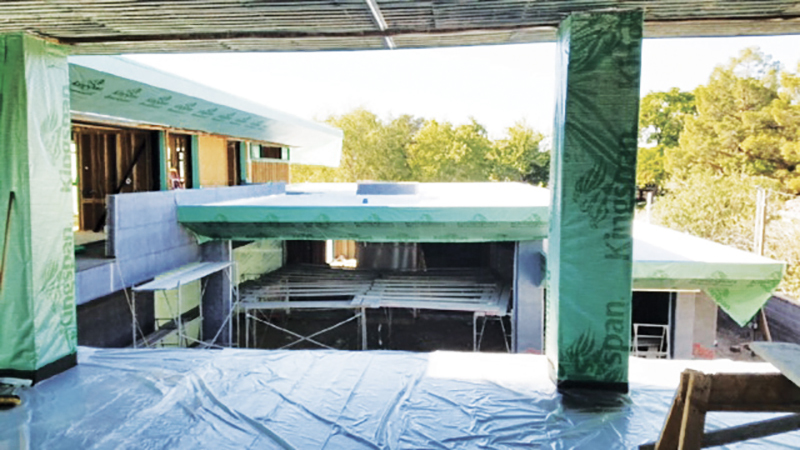 Although the exterior walls were insulated with spray foam, a foil-backed paper product with internal air pockets raised the R-value and let them reduce foam thickness. Gardner hired a local concrete coating company to waterproof the upper balcony deck. 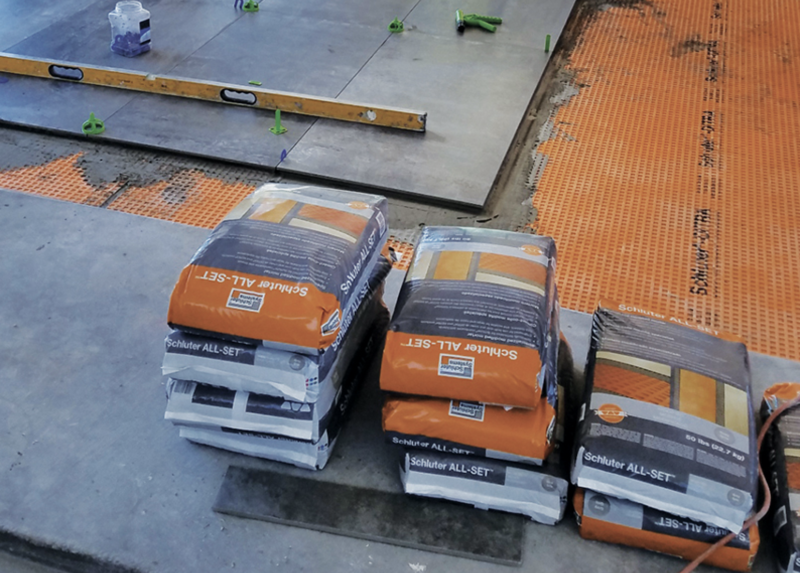 Their system combines specially formulated acrylic resins with multidirectional chopped fiberglass mat for a tough yet flexible coating. It was finished with tile backer and porcelain tile. 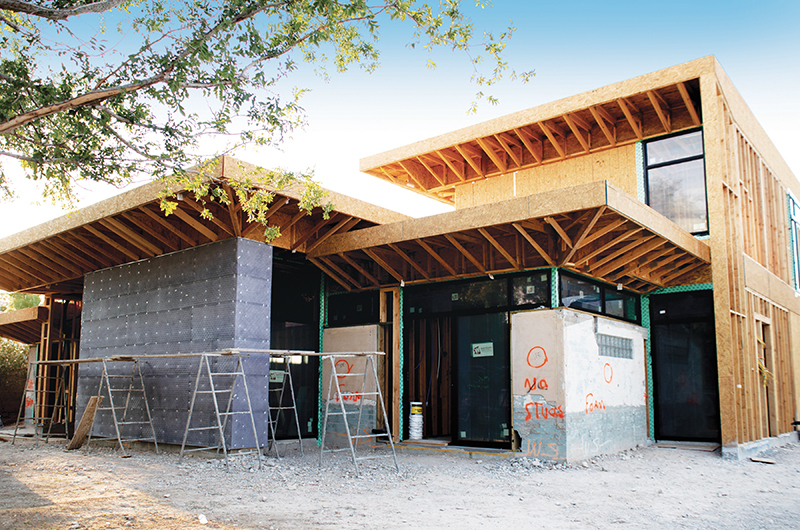 The home uses a commercial roof system that consists of a membrane placed over 4½-inch closed-cell foam. Not only did this eliminate thermal bridging, but running ductwork and wiring through an uninsulated ceiling cavity meant that any changes needed later on would be a lot easier. 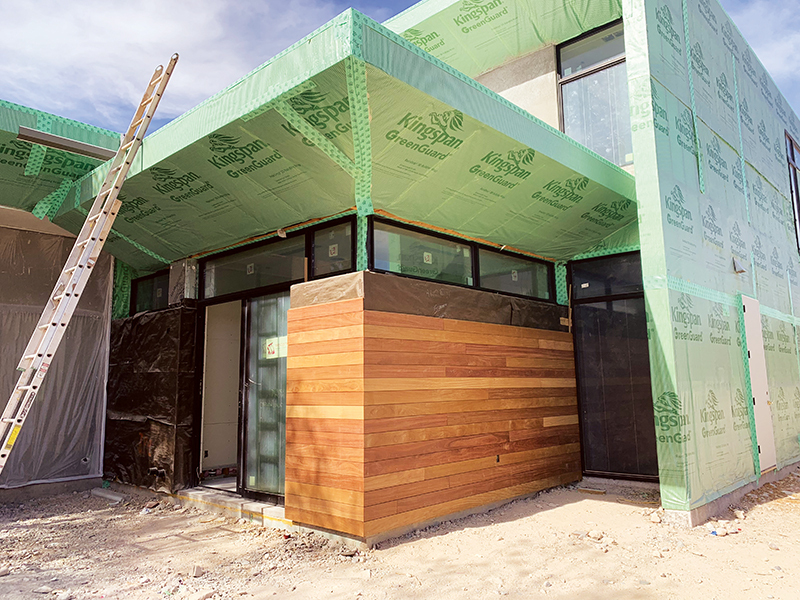 The entire house was wrapped with a drainable water-resistive barrier, which also serves as an air barrier. The siding is a mix of metal, manufactured stone veneer and Brazilian teak shiplap. “Much of Vegas is about stone and stucco, but we wanted to include metal and wood in the mix to create a more organic feel,” says Gardner. Charlie Wardell is a freelance writer and former remodeler in Tisbury, Mass.